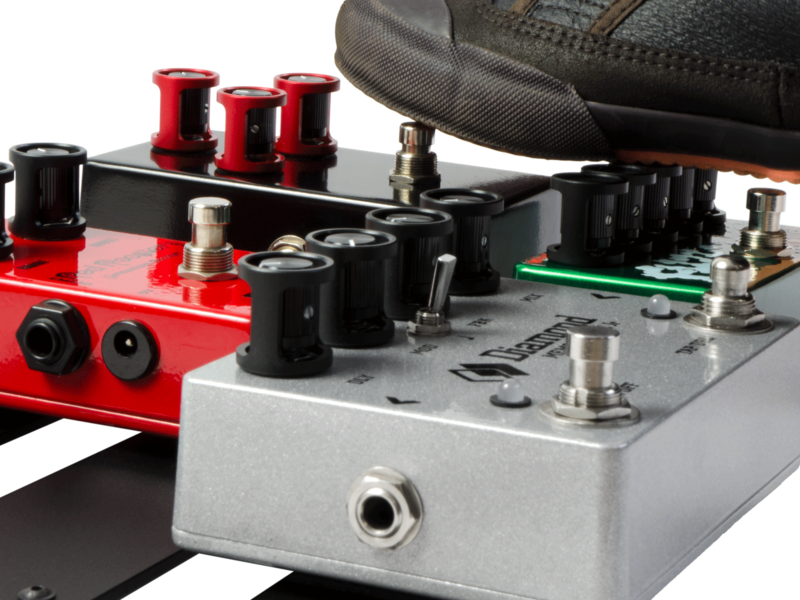 The Stompshield | keep your knobs set, no matter what. 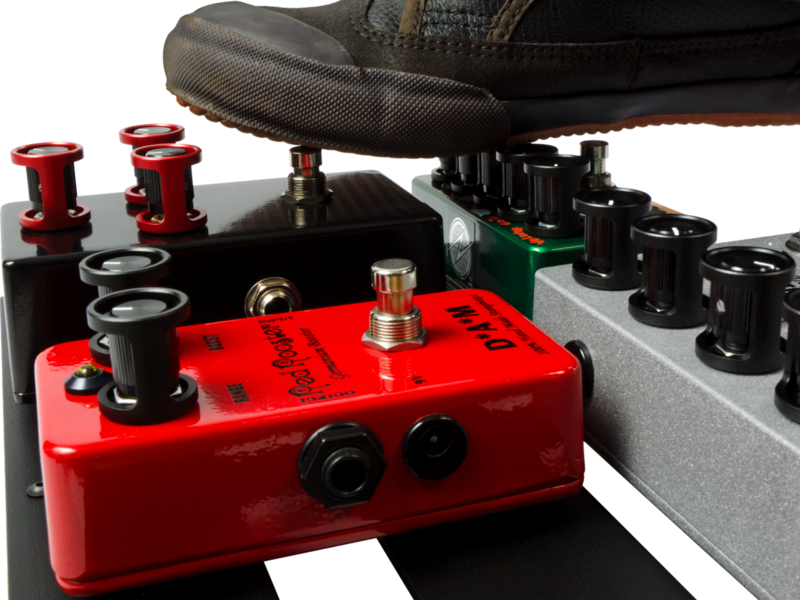 The StompShield is an accessory whose function is to protect pedal knobs from accidental/unintentional manipulations, while allowing the user to adjust and monitor their settings on the fly, as they normally would. 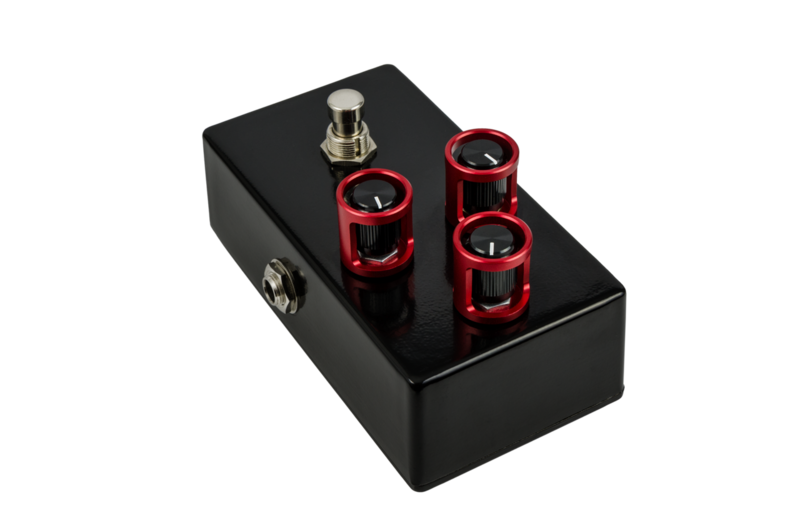 Thanks to its unobtrusive design, the StompShield can be installed on almost any pedal*, even on those with the tightest knob layout. It is made out of durable CNC machined aluminum and it is easy and quick to install. 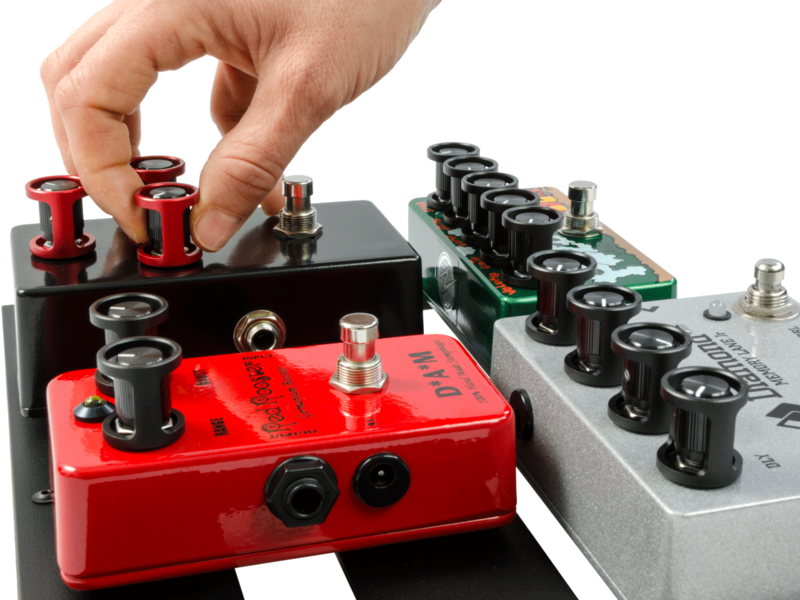 * that features 1/4″ (6.35mm) shaft potentiometers. See FAQ page for more details.